"Fabian is famous, a man about town. Of his neighbourhood exploits, strange stories abound." 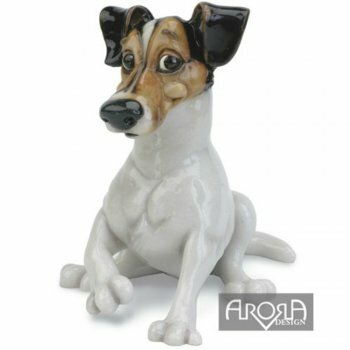 Fabian is our cheeky Jack Russell ornament made from ceramistone which means he can be placed inside or outside your home. He will delight any dog lovers out there and comes already gift boxed.